원재료를 선별하여 최고의 품질, 최고의 맛과 제품의 다양화로 정직하고 양심적인 기업이기를 자부합니다. 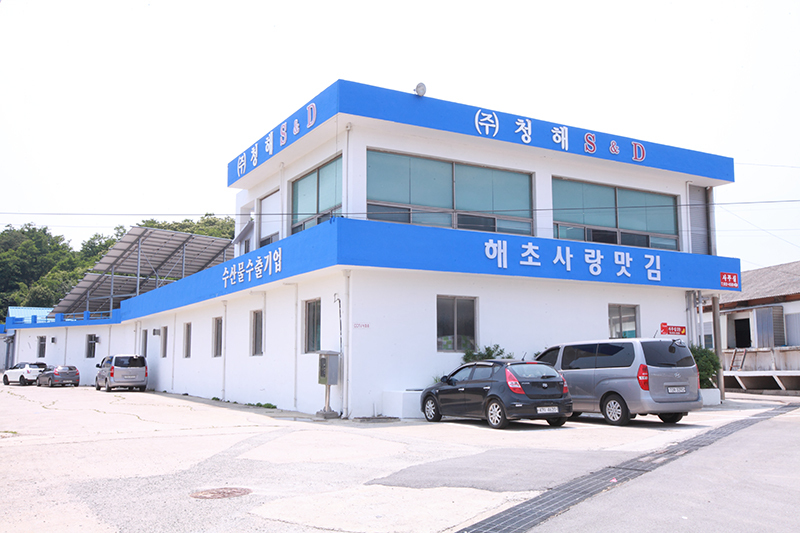 Our company established Chung Hae S&D Co., Ltd. in Cheonggan-ri, Toseong-myeon, Goseong-gun, Gangwon-do, Korea in February 2002, and has been working hard to contribute to the health of consumers and enriched food consumption by providing the seaweed products and other sea food. Chung Hae S&D Co., Ltd. exports to the US, Ja pan, Taiwan, China and Singapore with its find products and it selects finest ingredients and materials to come up with the best quality and taste as well as diversification in our products in a way of making the best and honest company within.